MetaFLO reagents help contractors safely, efficiently and quickly dispose of liquid spoils from underground construction projects. 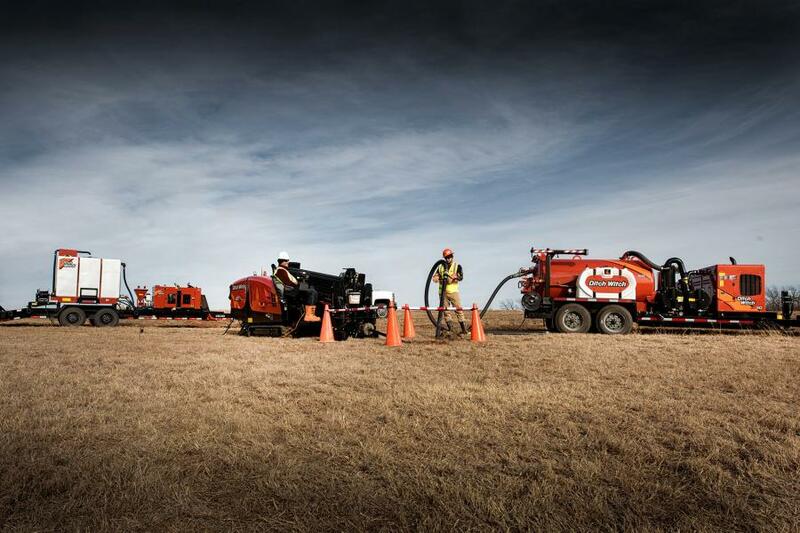 “We're excited to partner with the Ditch Witch organization to expand our offering throughout their global dealership network and create convenience for our current HDD users with one stop for reagents, drills, recycling systems, service and support.” said Andrew McNabb, MetaFLO president and CEO. The SolidState 2 reagent is engineered to work in conjunction with mixing systems for large volume applications. It solidifies liquids in fewer than 30 minutes using a typical dosage of 0.5 to 1.5 percent by weight. The SolidState 6 reagent is specifically designed for heavier, semi-solid waste streams. It absorbs quickly and works immediately, solidifying liquids in fewer than 10 minutes using a typical dosage of 0.25 to 1 percent by weight. One specific customer was using a competitive product in attempt to dry liquid spoils before removal — using between 3,400 and 5,100 pounds of the product per a 20-yard bin of spoils to get it dry enough to transport to a dump site. This process was costing the customer between $420 and $610 on top of disposal weight costs. After switching to MetaFLO, the customer now uses only 250 pounds of the SolidState 6 reagent to solidify the same amount of spoils at a cost of $310, a $110 to $300 savings every time. The SolidState reagents are available at participating Ditch Witch dealerships. To find a dealer near you, visit http://www.ditchwitch.com/find-a-dealer. Ditch Witch, a Charles Machine Works Company, invented the underground utility construction industry, and today it designs, manufactures and markets a complete line of directional drills, drill pipe, HDD tooling, vacuum excavators, trenchers, chain, teeth and sprockets, mini-skid steers and vibratory plows. Handcrafted in the USA, its products are supported by the Ditch Witch dealer network with over 175 locations worldwide. Established in 1902, Charles Machine Works, an employee-owned company, founded in Perry, Okla., is the only manufacturer and global distributor that solely exists to make underground utility construction profitable. Its family of companies includes Ditch Witch, Subsite Electronics, DW/TXS, HammerHead, Radius HDD, American Augers, Trencor and MTI Equipment. For more information, visit https://charlesmachine.works. MetaFLO is a leading provider of innovative, environmentally friendly reagents and mechanical delivery systems for the treatment of liquid and semi-solid waste streams. MetaFLO helps contractors turn liquid waste into a manageable solid at the site of the fluid generation.